Winters breathes new life into history once again with an atmospheric, vividly real story that includes archival photos and art from the period. Olivia Mead is a headstrong, independent girl—a suffragist—in an age that prefers its females to be docile. 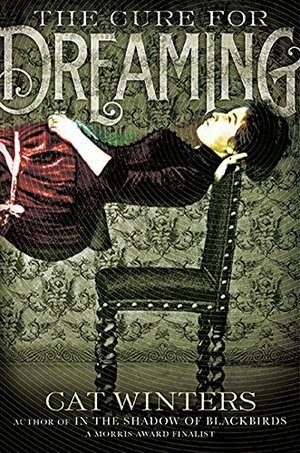 It’s 1900 in Oregon, and Olivia’s father, concerned that she’s headed for trouble, convinces a stage mesmerist to try to hypnotize the rebellion out of her. But the hypnotist, an intriguing young man named Henri Reverie, gives her a terrible gift instead: she’s able to see people’s true natures, manifesting as visions of darkness and goodness, while also unable to speak her true thoughts out loud. These supernatural challenges only make Olivia more determined to speak her mind, and so she’s drawn into a dangerous relationship with the hypnotist and his mysterious motives, all while secretly fighting for the rights of women.